INVESTIGATION. The EPR reactor is not Areva’s first failure in the field of nuclear engineering. The French nuclear company was involved in another disgraceful fiasco in Chernobyl, which the press has not wasted any time exposing. In the heart of the exclusion zone, just 2.5 kilometers from the ruins of Chernobyl’s reactor no. 4, lies a strange pile of concrete boxes, and two horizontal beams with multiple oval holes drilled into them extending for hundreds of meters. This unusual assemblage is called ISF2, which stands for “Interim Spent Fuel Storage Facility 2”. It is a nuclear waste storage facility, which Ukraine commissioned Areva to build. The French nuclear group made a major design error in the facility, which has rendered it inoperable. This facility, considered by the international community to be as vital to the nuclear safety of Chernobyl as the giant arch over the damaged reactor, is still not functioning to this day, largely because of Areva’s initial errors. After the explosion of Chernobyl’s reactor no. 4, 29 years ago, the nuclear power plant, which housed three additional units, continued to operate for more than 14 years. The dismantling of these three reactors and the management of their nuclear waste is the other major project for Chernobyl’s nuclear safety, concurrent with the giant arch meant to cover the “sarcophagus” of the ruined reactor. In 1999, Areva’s branch devoted to nuclear reactors and engineering (Areva NP then Framatome) signed a contract with the Ukrainian government corporation Energoatom to build ISF2, a center for dry cask storage where the spent nuclear fuel from Chernobyl’s reactors no. 1, 2 and 3 would be stored for at least 100 years. This marked a first for storing fuel from Soviet-designed RBMK nuclear reactors. Areva pledged to produce a “turnkey facility” by the Summer of 2005 and began construction in the Spring of 2000. This storage facility was financed mainly by 16 donor countries from a fund reserved for “urgent nuclear safety improvements” managed by the European Bank for Reconstruction and Development (EBRD), which also contributed to it. The European Union (EU) and nine EU member countries have been major contributors to this fund, which is separate from the fund earmarked for financing works on the containment of reactor no. 4. Opening ISF2 is an essential step in dismantling the Chernobyl nuclear power plant. When the construction of the facility began in 2000, the goal was to extract about 21,000 spent fuel assemblies from the pools and cores of Chernobyl’s reactors no. 1, 2 and 3, as well as from a spent fuel pool which has been in operation since 1986. Without achieving this goal, the complete shutdown of the reactors – and therefore their dismantling – cannot be accomplished because high level radioactive spent fuel is being continuously cooled there. Though as of 2013 much of the spent fuel from units 1-3 is stored in the separated spent fuel pool. The nuclear waste storage center consists of two buildings, the first being where the fuel must be delivered, dried, then packaged in waterproof metal packing cases (see photo below). The second, a storage area where the fuel will be placed in concrete cavities (see top photo). When Areva won the contract for more than 80 million euros, it took the lead over a group of businesses among which Vinci Construction and Bouygues Travaux Publics took over the civil engineering responsibilities. Areva was in charge of the nuclear engineering on site. In order to store the reconditioned RBMK fuel, Areva depended on a dry storage technology from the United States, from which it acquired the license. Storage building for spent nuclear fuel from ISF2 (Chernobyl). Copyright © Journal de l’énergie / Martin Leers 2010. Three years after the beginning of the construction, Ukraine suddenly stopped the project in April 2003. Areva’s client, Ukraine, denounced “design defects which call into question the safe functioning of the storage installation”. The suspension of the work was attributed to “discrepancies between Areva’s technical decisions and the technical specifications required for managing spent fuel assemblies”, according to a representative of the Ukrainian authorities. Areva was never to restart the project. According to a spokesperson for the Ukrainian government, in the construction of ISF2, Areva did not take into account the drying of the spent fuel before its packaging in hermetically sealed containers. (The spent nuclear fuel in Chernobyl is all stored under water in pools). There is water in the cladding which encloses the spent nuclear fuel pellets. Now the presence of water in a waterproof storage package containing nuclear waste raises a real problem: it can degrade the container and cause the release of radioactivity into the environment. This is a situation that must be avoided at all cost, in order to ensure the safest possible storage of Chernobyl’s 21,000 highly radioactive nuclear fuel assemblies. Areva played surprised: there should not have been such a high volume of water in the nuclear fuel. The contract signed with Ukraine indicated that the percentage of water present in the fuel cases should not have exceeded 1%, when in reality there was up to 5 or 6% according to the French provider. Without a doubt, it was the client’s fault: “The main problem with this contract is late notification about the inaccuracy, and lack of credibility of the initial technical data provided by the project manager. As a result, major changes in the project design, the purpose of the ISF2 contract, are necessary whereas the civil engineering work is almost completed,” reads Areva’s 2005 annual report. When contacted by Le Journal de l’énergie, the Ukrainian company financing ISF2 denied these allegations. This crippling design defect required a review of all the nuclear engineering of Areva’s facility. The facility was built, but was totally inoperable. Other defects in construction were later to be uncovered. 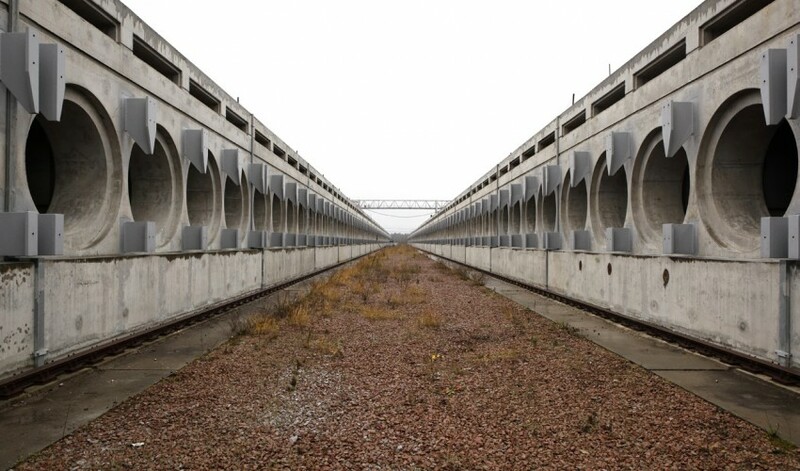 A representative of Chernobyl’s nuclear power plant anonymously disclosed to Le Journal de l’énergie that some of the openings in the installation designed by Areva did not meet the required dimensions for moving nuclear fuel from one place to another. In the 2007 Ukrainian report on nuclear safety, it was noted that the concrete in some of the storage modules had cracks attributed to poor workmanship. In November 2004, Areva proposed to solve the problem of the absence of an adequate drying apparatus for the spent fuel cladding but Areva’s solution cost a fortune. Whereas the total cost of the project rose at the time to €80m, the costs to correct the poor workmanship were estimated between 90 and €100m. Furthermore, the work would have set back the opening of ISF2 by seven years. In July 2005, when the price increase and the huge delay were announced, the donor countries financing the project rejected Areva’s solution and asked that an independent audit be conducted to determine who was responsible for the flaws in the storage facility. In October 2005 Areva’s contract was suspended. The audit conducted by the Swedish company SKB International was completed in January 2006 and its conclusions were irrevocable for Areva. Even if the report pointed out the woolly management of the project by the Ukrainian state-owned business and judicial irregularities, it was damning for the French nuclear company. According to independent experts appointed by the EBRD, Areva rushed into the construction of a storage facility without having mastered the technology for RBMK nuclear fuel. Areva really put its foot in it: the manufacturer had quite simply not fully taken into account the presence of water in the RBMK fuel cladding and had underestimated the importance of a drying device for the nuclear fuel. Therefore, Areva bore the responsibility for having built an unoperable storage facility for nuclear waste. In the closed circle of the nuclear industry, it is no secret to anyone that nuclear fuel assemblies from RBMK reactors have had serious problems with watertightness. Among all the RBMK reactors in the Soviet Union, the Chernobyl nuclear power plant experienced the most critical deficiencies in watertightness. Areva was commissioned to build a facility capable of receiving all the spent fuel assemblies from reactors no. 1, 2 and 3. The deficiencies in watertightness have affected 10% of all the bundles of fuel loaded into reactor no. 1; 8% for reactor No.2; and 4% for reactor no.3. It is difficult to imagine that Areva was not aware of the waterproofing issues, considering the large number of nuclear fuel assemblies that the storage facility would ultimately be responsible for housing. Areva outright rejected the findings of the audit during its presentation to the donor countries in February 2006 and unexpectedly asked that Russian experts be permitted to join the project in order to benefit from their experience with RBMK type spent fuel. However, the group of donor countries which had lost confidence in Areva after the audit, anticipated the termination of its contract and asked the EBRD to estimate the cost. In June 2006 Ukraine presented a new solution for drying nuclear fuel to the donors, a solution which had been developed by Holtec International, an American company from New Jersey specializing in dry storage of nuclear spent fuel. The funding countries approved this solution and six months later decide to sever ties with Areva. In agreement with the donor countries, Areva must therefore pay compensation of about €45m to Ukraine. Areva’s haste in this project has had negative consequences on the nuclear safety of the Chernobyl site. 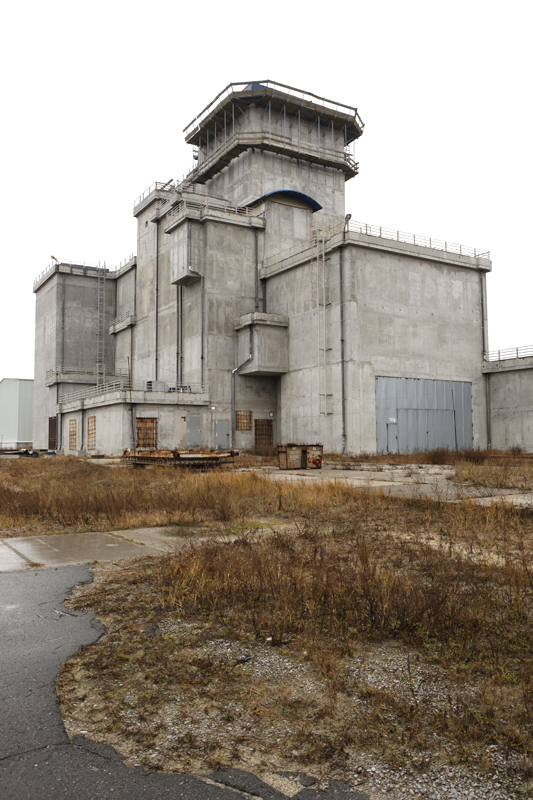 The storage facility for nuclear waste was scheduled to open in 2005 to house the spent fuel stored in the RBMK nuclear reactors at the Ukrainian power plant. “A major step forward in increasing nuclear safety at the Chernobyl site”, according to the EBRD which manages the project’s financing. The suspension of the work and delay in delivering ISF2 have forced the Ukrainians to accumulate the spent fuel from reactors no. 1, 2 and 3 in an obsolete storage pool which has far exceeded its initial capacity. Built in the days of the Soviet Union, this pool is not fit to receive all the spent fuel from Chernobyl and must close in 2016. In order to dismantle the reactors it will be necessary to remove all of the spent fuel stored there, thus requiring the opening of the new storage facility. In 2005 a Ukrainian minister stated that each year of delay in starting up ISF2 is costing Kiev €15m. Areva’s contract was taken over by Holtec International in September 2007. In order to take into account the drying of the fuel prior to storage, the American company needed three years to completely review the design of the facility. The new facility would retain the concrete structures built by Vinci and Bouygues, as well as some equipment. Work at the site only resumed in October 2014, 14 years after its start and 11 years after the shutdown of the construction site managed by Areva. The total cost of the storage facility has just about quadrupled in the meantime. Today it is tentatively estimated at more than €300m. The opening of the facility should take place at the earliest between 2017 and 2018. Between now and then the Ukrainians will be keeping their fingers crossed, hoping that the pool containing more than three-fourths of the power plant’s spent nuclear fuel does not experience a breakdown in the cooling system. Contacted several times by email and phone, Areva has chosen not to answer questions from Le Journal de l’énergie. Holtec International has also refused to answer our questions. SKB International, the company that conducted the audit, has not replied to any of our emails. This article was first published online in French on May 2015 in Le Journal de l’énergie. These three additional units were stopped respectively in October 1991, November 1996 and December 2000. RBMK : Russian acronym standing for “High-Power Channel-type Reactor”. From the beginning of operation of the Chernobyl units 1-3 to the end of 1991. Reference : Fuel failure in normal operation of water reactors: experience, mechanisms and management, AIEA, 1993. Photos: ISF2 installation, Chernobyl nuclear power plant (Ukraine). Copyright © Journal de l’énergie / Martin Leers 2010.